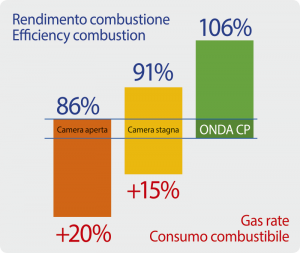 Our high efficiency 5 (106%), condensing water heater with low NOx emission modulating premixed burner (25 ppm class 6). This technology allows users to save money compared to an open chamber water heater of equal power. The saving made is approximately 20% and approximately 15% compared to a sealed combustion water heater. 34.5kW – 45kW – 60kW. Designed and built for users requiring high volumes of water, heated up to 80° C.
An antibacterial cycle is automatically carried out by the electronic board. Powerful, compact and quiet, with high insulation hard polyurethane coating, it belongs to the ECODESIGN range class A. STAINLESS steel tank and heat exchanger and high-density polyurethane coating. Stainless steel tank and heat exchanger, available in three versions: 34.5kW – 45kW – 60kW. High insulating power hard polyurethane coating. ONDA CP Modular premixed condensation. 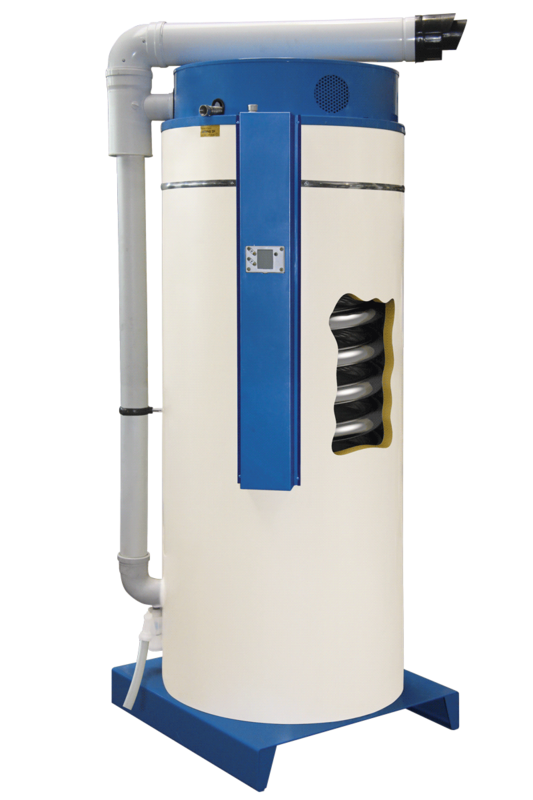 Fill in the form below to be e-mailed the ONDA CP water heater technical data sheet. Thank you.